Creating Facebook Video posts has never been easier! This article will provide you with step by step instructions to create your first Facebook Video post. 4. Once your video loads, if you find that you are not happy with how the video appears in the preview provided you may replace it by clicking Replace Video. 5. 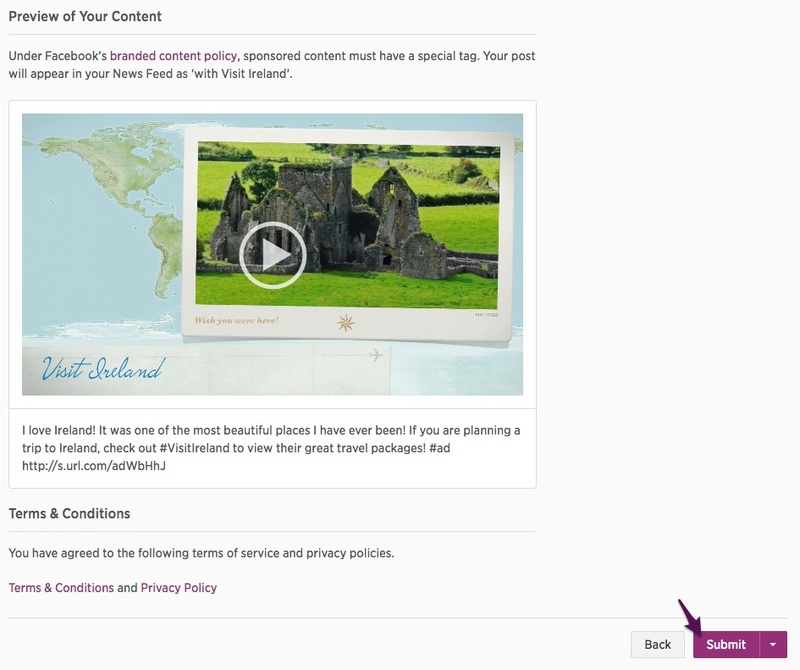 Now that you have uploaded your video and are happy with its appearance, you will need to create the description for your video in the box provided. 7. Your video must also include a verbal disclosure. Make sure you have checked off all boxes and include your timestamp that shows where your verbal disclosure appears in your video. 8. 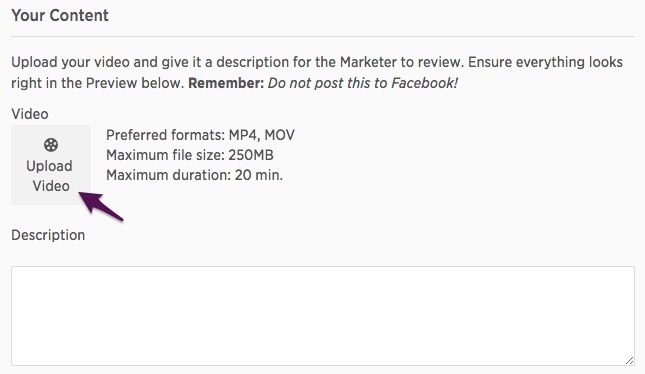 Once you have finished adding all of the required elements to your content, you will be able to preview your content before you submit it to the Marketer for approval. If you are satisfied with your content and its appearance, hit Submit. *Remember do not post this on your Facebook Page! Once it has been approved by the Marketer the system will automatically post your content for you.